When you live in San Ramon, California, no matter your age or interest, there’s always plenty to do. 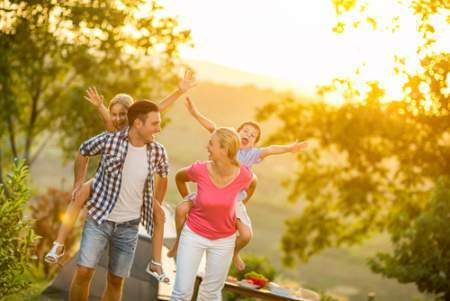 Whether your enjoyment preferences are indoors or out, relaxing or adrenaline rushing, learning, playing, or exploring, San Ramon is ready to show you how to have fun. To kick things off, San Ramon is proud to feature 50 public parks with an array of amenities from ball fields and playgrounds to picnic areas and trails. Pick your favorite or visit them all. Las Trampas Regional Wilderness area is a not so little slice of paradise away from the urban lifestyle. Saddle up the horse, grab your hiking shoes, hop on your bike, focus your camera lens, and enjoy the beauty of nature. Enjoy bird-watching amidst an array of wildflowers, pitch the tent for a night of camping under the stars, and enjoy a rugged get-away. The Las Trampas Regional Wilderness area spans more than 5,300 miles offering a massive trail system. Las Trampas is located at 18012 Bollinger Canyon Rd, San Ramon, CA 94583. For more information, call (510) 544-3276. Forest Home Farms Historic Park is your opportunity to dig into the agricultural history of the San Ramon Valley. Sixteen acres of land that could have been sold off a dozen times or more since 1850 were protected and preserved by their owner who then donated the land for educational purposes. Forest Home Farms Historic Park is located at 19953 San Ramon Valley Blvd, San Ramon, CA 94583 and can be reached by phone at (925) 973-3284. The Regal Crow Canyon Stadium 6 is the place to be when you want to settle in to a cozy plush seat with a bucket of buttery popcorn to take in the hottest new movie release. The Regal Crow Canyon Stadium 6 is located at 2525 San Ramon Valley Blvd, San Ramon, CA 94583 and can be reached by phone at (844) 462-7342. The Golden Skate is located at 2701 Hooper Dr, San Ramon, CA 94583 and can be reached by phone at (925) 820-2525. The classic roller-skating rink offers skating lessons, hockey tournaments, and is the perfect place to celebrate your birthday parties! Modern Recess is an indoor playground for kids offering classes, camps, events, and birthday parties. Modern Recess is located at 3151 Crow Canyon Pl. San Ramon, CA 94583 and can be reached by phone at (925) 302-6593. The San Ramon Golf Club is the perfect place to tee off for a few relaxing rounds of golf amidst beautiful, well-manicured greens. 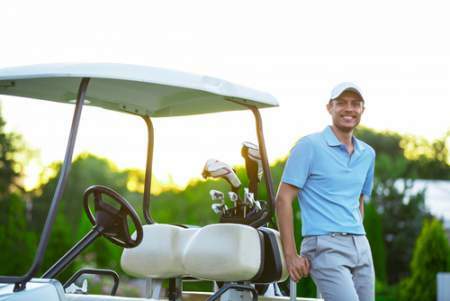 Join a tournament, take a lesson, or book the venue for your wedding or special event. The San Ramon Golf Club is located at 9430 Fircrest Ln, San Ramon, CA 94582 and can be reached by phone at (925) 828-6100. The Canyon Lakes Golf Course & Brewery takes fun to a whole new level. Why just play golf when you can play golf and drink craft beer with your peers? Canyon Lakes also offers an on site restaurant and special events. The Canyon Lakes Golf Course & Brewery is located at 640 Bollinger Canyon Way, San Ramon, CA 94582 and can be reached by phone at (925) 735-6511. Hooked on Driving puts you behind the wheel for high-speed performance driving. Join other adrenaline-chasing drivers who crave the need for speed as much as you do, while valuing safe practices and educated experiences. Hooked on Driving is located at 2410 Camino Ramon in San Ramon, CA 94583 and can be reached by phone at (925) 328-0800. The community celebrates multiple festivals each year, including the Memorial Day Weekend Art and Wind Festival and the Run for Education in October. San Ramon also offers a plethora of shopping opportunities, dining options, spas, and more. Tour the preserves and wilderness areas, put the pedal to the metal for racing adventures, enjoy a brew with your buds on the golf course, lace up the skates for the hokey-pokey, take in a movie, or enjoy all the additional recreation of surrounding areas.